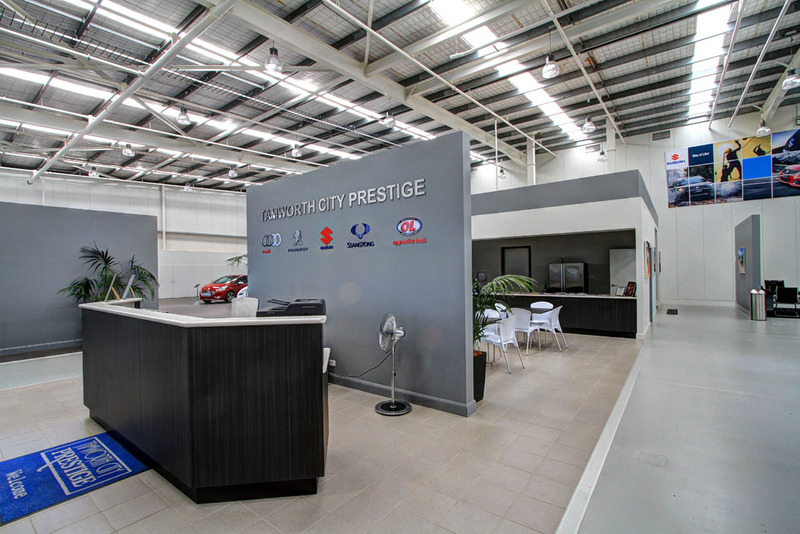 This project involved the transformation of an existing 20 year old Bunnings warehouse into a prestige car showroom and service centre for an existing local car dealership. 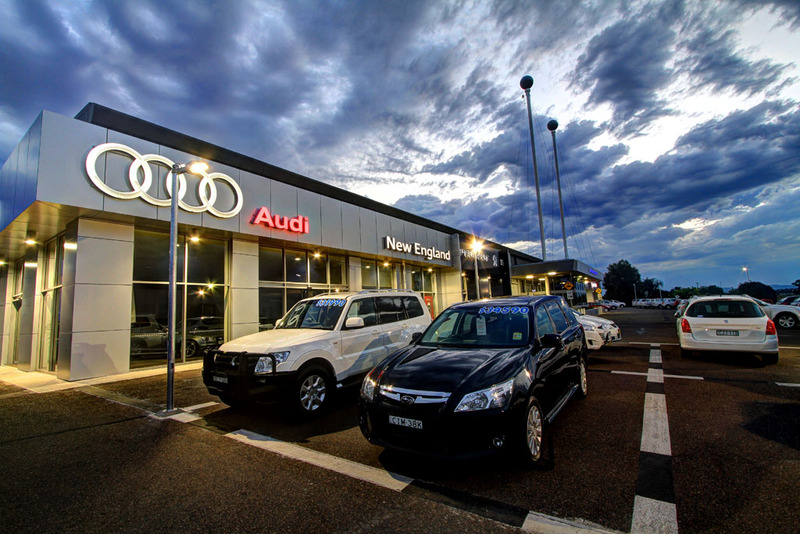 Hill Lockart Architects were engaged to design, document and supervise the construction works required to convert the existing 4600m2 concrete tilt panel warehouse into a showroom, service centre and offices for Audi, Peugeot, Suzuki, SsangYong and Opposite Lock. 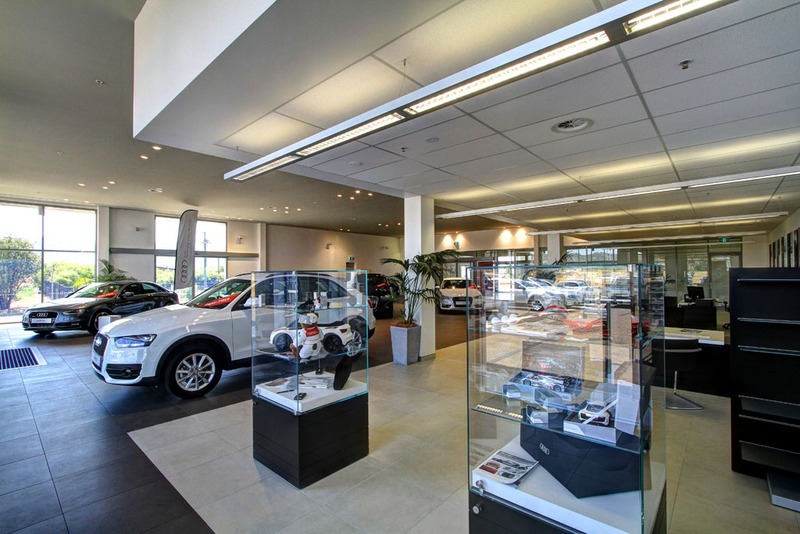 The design required close collaboration with the client, vehicle brands and the contractor to provide a unique showroom concept based upon a ‘car show’ environment with multiple vehicle brands in one space. 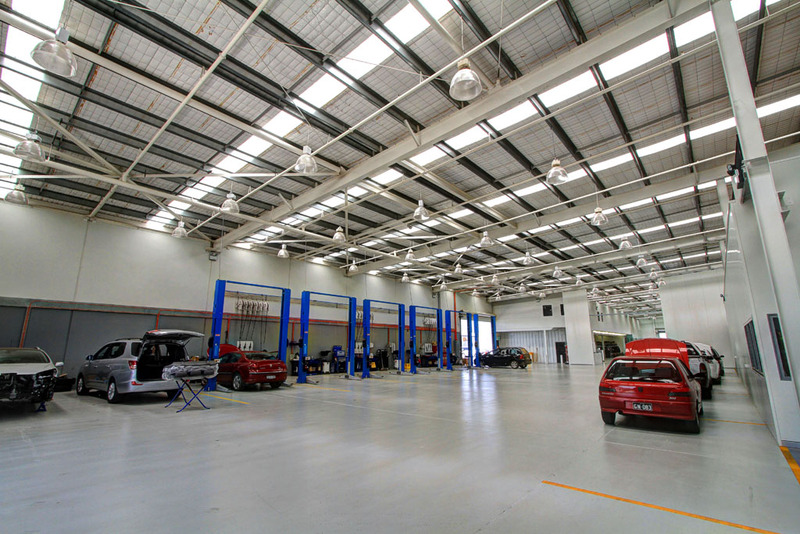 This dealership environment was created to provide a casual and open experience for the customer yet required each vehicle brand to have a clear delineation of their brand which was achieved through use of materials and forms within the space. A new façade was designed for the exterior of the building to take advantage of the existing visual presence of the building, and to open the showrooms onto the street frontage. New 4.2m high glazing panels were cut into the existing concrete tilt up panels, whilst maintaining the structural integrity of the building. 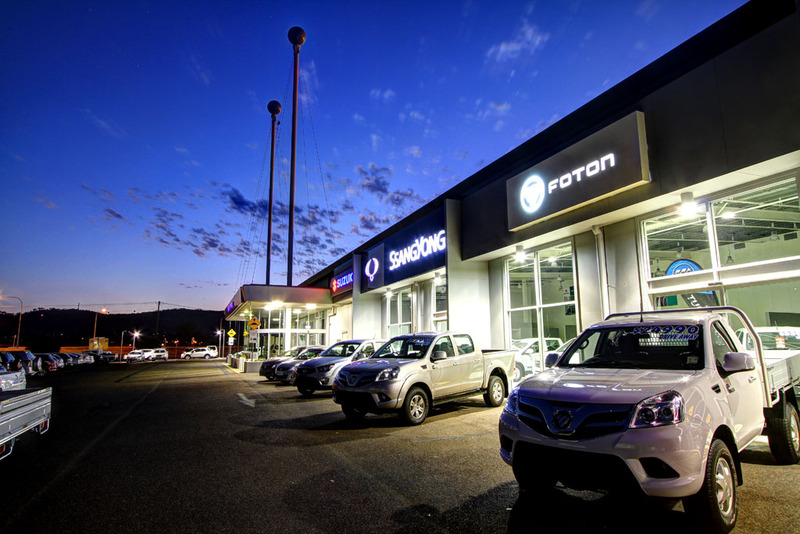 The new façade reduces the scale of the building, and helps defines each vehicle brand to assist the customer’s journey and retail experience within the space.